Bespoke play features are available and we welcome all enquiries. 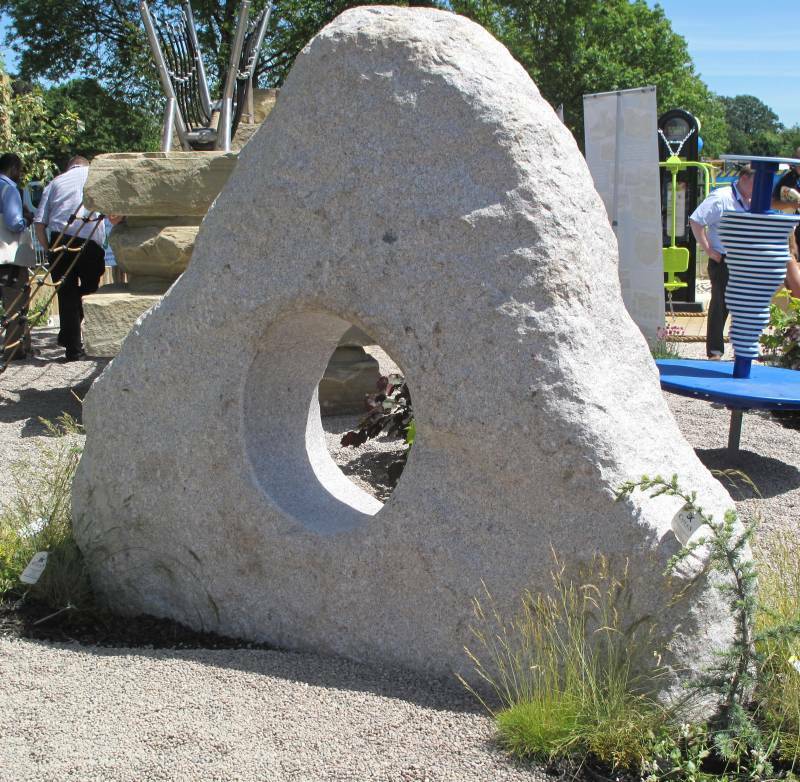 Portal Rocks are held in stock and as the name suggests‚ Portal Rocks have a 600mm diameter hole drilled through the centre. They are slip resistnat and encourage children to climb and explore. Portal Rocks are free from sharp edges and they are tough and durable‚ enabling them to withstand high levels of use over the years to come. Portal Rocks are produced from Granite and are approximately 1.5m tall‚ 1.5m wide and 450mm thick‚ although other variations can be made to order. Bespoke granite water features can be made for outdoor play areas in any colour and size required. A project we worked on in the past included a granite stone centre piece with a remote activated water jet. 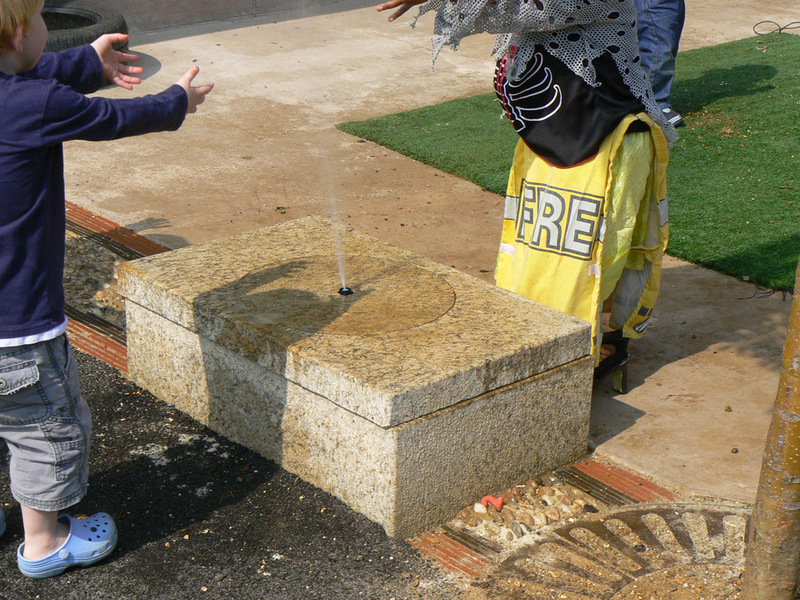 The control system allowed the staff at a children’s centre to keep control of the amount of water being used while also letting the children play and interact with the water. Granite ornaments are also available. Within the range is a silver back granite gorilla (please see images in the gallery tab). This piece weighs approx. 1 tonne and would fit perfectly into a play scheme. Use bespoke play features singularly or combine them with our play products‚ they will provide a challenging and enjoyable experience. To order in, approximately 8-12 weeks.